Many people who do a great deal of baking look for a KitchenAid stand mixer because this mixer helps them to create large batches of cookie and cake dough easily. In most cases, choosing from among the KitchenAid stand mixer pink shades also means that a portion of the money you pay for the mixer will go towards the fight against breast cancer, making purchasing this mixer in this specific color attractive to many people. While we will be reviewing other hand mixers by other companies at a later date, this particular review is for those people searching specifically for KitchenAid stand mixers. When the Kitchenaid Company was formed in 1919, it sold one product and one product only, the KitchenAid stand mixer. Today, the company manufactures a number of different kitchen appliances and tools, but their stand mixer is still their most popular item. The Komen Foundation Artisan Series 5 Quart KitchenAid Stand Mixer is a highly functional mixer of which $50.00 of each purchase goes to the Komen Foundation, to help in the fight against Breast Cancer. This is a very pretty pink mixer with a pearly shine to the pink and a stainless steel looking trim, that gives this mixer an extremely classy look. It’s hard to find fault with the idea that a portion of the sales for this mixer goes to such a worthy cause as fighting breast cancer. Part of the Cook For Cure (Cancer) Series, the KitchenAid Artisan Design 5 Quart Raspberry Ice Stand Mixer has all the features most people expect to find in a KitchenAid mixer. If you are looking for a stand mixer that will brighten up your kitchen, then this raspberry ice KitchenAid mixer will certainly add a bright spot to your kitchen décor. 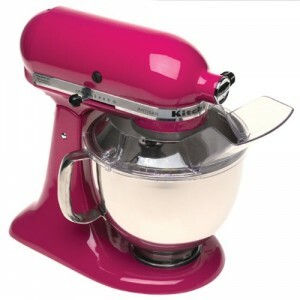 This mixer has a lovely bright pink metallic sheen, that will bring a smile to your face. The Cranberry KitchenAid Artisan Series 5 Quart Mixer is a stand mixer in the Kitchenaid line-up. The 2 piece pouring shield should make adding ingredients while mixing easier than ever before. The bright cranberry (hot pink) color will brighten up any kitchen. 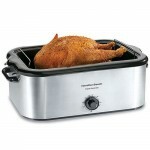 The KitchenAid professional 600 Series 6 Quart Mixer is ideal for those people who do a lot of baking for family and friends, and it is powerful enough even for a small baking business. The large 6 quart capacity of this mixer will make it welcome in many homes, as will the variety of colors this mixer comes in. Reviews for the Professional 600 Series 6 Quart Mixture are good. Some customers didn’t feel that this mixer lasted long, considering the price for this mixer. 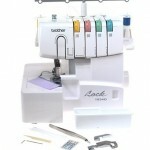 However, most customers do like this mixer, and find it to be useful. If you are looking for a KitchenAid Stand Mixer Pink or any other color, then choosing from one of these mixers may help you find the right mixer to meet your needs.